Today I have a spacial treat for you! 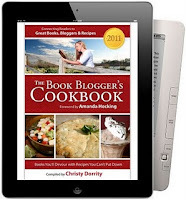 To those of you who haven't heard yet I am very happy to tell you about a wonderful new release: The 2011 Book Blogger's Cookbook! Which combines two of my favourite things: reading and cooking! Yay! Hi Christy! Could you please share with my readers your inspiration for the cookbook? Or even better, could you please pick one book and the recipe accompanying it and tell us why this specific book inspired this recipe? What elements made you think these two were meant for each other? As soon as I read Impossible by Nancy Werlin , I knew that I wanted to feature a recipe that used herbs. Werlin's novel is based on the folk song "Scarborough Fair" popularized by Simon and Garfunkel. I have always been intrigued with the unique lyrics to "Scarborough Fair" and I have an herb garden so the two fell together nicely. I originally created a different dish to match Impossible . The recipe was a main dish of chicken cooked in a crock pot and seasoned with parsely, sage, rosemary and thyme, as mentioned in the song. The dish was tasty but the photos didn't look that appetizing. When I went through the books and recipes from my blog to include in The 2011 Book Blogger's Cookbook , I wasn't happy with the recipe choice and went looking for something else. 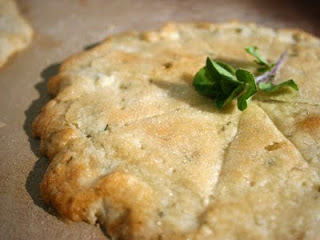 I love sweet and savory paired together and when I added herbs to the sweet and buttery shortbread, it gave it just a hint of the herbs that doesn't overpower the sweetness. Likewise, Impossible by Nancy Werlin uses the backdrop of Celtic mythology to drape her story against--giving it just a hint of mystery and wonder without overpowering the very real issues that the story deals with. When you make "Scarborough Fair Shortbread", feel free to use any herbs you have on hand. The shortbread tastes wonderful with "Fear-faire Lavendar Custard", also from The 2011 Book Blogger's Cookbook (a companion recipe to Wings by Aprilynne Pike ). 1. Put oven rack in middle position and preheat oven to 375°. 2. Stir together flour, 1/4 cup sugar, salt, and chopped herbs in a bowl, then add butter and stir with a fork until mixture forms dough. 3. Divide dough in half and pat each into a 7-inch round on an ungreased baking sheet. Crimp edges of rounds and cut each into 8 wedges with a sharp knife. 4. Lightly brush with egg white sprinkle with remaining 1/2 tablespoon sugar. Prick each wedge once with a fork. 5. Bake until golden, 15 to 17 minutes. Recut wedges while shortbread is hot. 6. Cool completely on sheet on a rack. Serves 8. 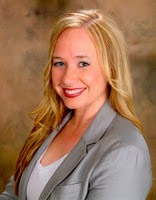 You can find Christy at her book blog Dearest Dreams and at the official site of The 2011 Book Blogger's Cookbook. Books were selected from the author's book review blog and paired with delectable recipes like "Fairy Touched Calico Brownies" from the Fablehaven series by Brandon Mull, "7-Day Layer Dip" from Lauren Oliver's Before I Fall, and "I Hate Chocolate Cake" from Amanda Hocking's Switched. Mouthwatering photos complement every recipe. 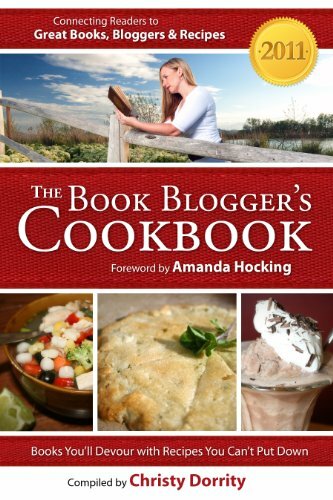 The 2011 Book Blogger's Cookbook includes a foreword by Amanda Hocking, author of the USA Today Bestselling Trylle Trilogy and showcases over seventy reviews with links to book review blogs and author websites. Whether you're a food lover, an avid reader or a book blogger, there's something for you in The 2011 Book Blogger's Cookbook. All you have to do is leave a comment on this post or any of the great blogs that are participating. Then, if you want more entries into the contest, tweet, facebook, or blog about the cookbook and leave a separate comment telling me what you did. You can say something like: Win a Kindle at the launch tour of The 2011 Book Blogger's Cookbook http://tinyurl.com/3vurm3a #bbcb Winners will be drawn using random.org on July 21st. Hurry, giveaway ends on 20 July 2011!